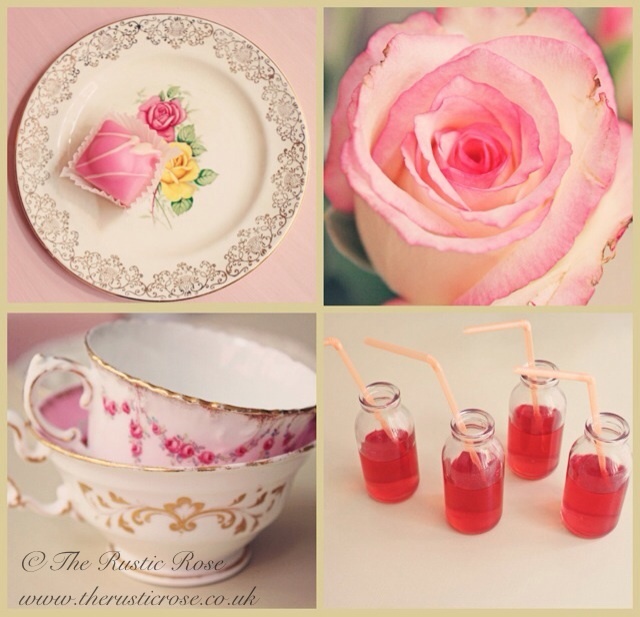 Yesterday Lucy (my dear friend and business partner) and I had a fun day shooting some new pictures for The Rustic Rose. 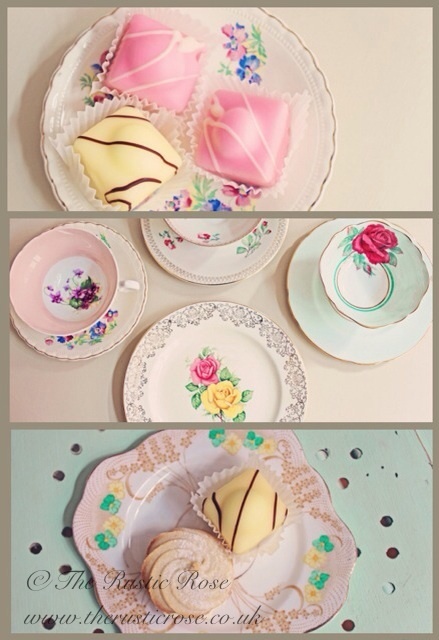 We are holding an open studio day in May, and we have decided to go for a Vintage tea party theme, with an array of fondant fancies and pink lemonade to offer to customers. We usually stick to a fairly neutral palette for our furniture of milky whites, dove greys and soft creams, but to celebrate the fact that spring is finally here after a long, grey winter, we decided to have fun with some beautiful pastel shades on a selection of our vintage chairs. 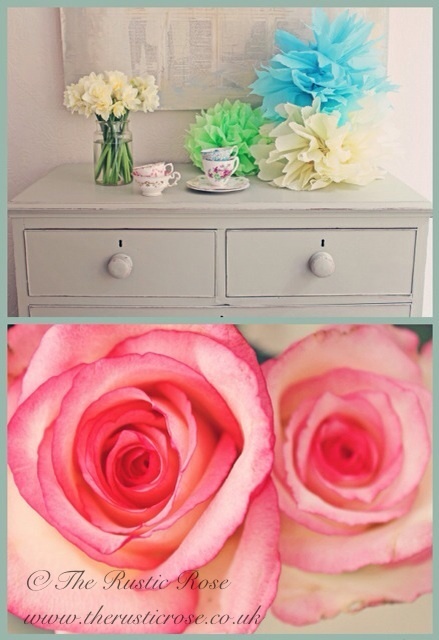 Lucy made gorgeous paper pom poms and I brought lots of vintage crockery, to completely embrace the theme of whimiscal prettiness. Did we eat the fondant fancies after we finished? Absolutely!